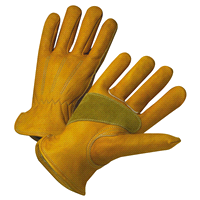 Our safety gloves are among one of the top brands in Australia. Maxisafe has designed and developed a range of trusted brands that provide you with a comprehensive range of high quality, performance safety gloves. Our Black Knight product line features our advanced Gripmaster technology that gives excellent grip, allowing the wearer to work even in wet, dry or oily environments. We also offer the Black Shield range, which offers high puncture resistance with excellent dexterity and feeling, allowing the wearer to work with ease while maintaining full protection.